Be the first to share your favorite memory, photo or story of Darlinda. This memorial page is dedicated for family, friends and future generations to celebrate the life of their loved one. Darlinda K. Hurst, age 62, of Jasper, passed away peacefully, with her brother and sister by her side, Thursday evening, January 24, 2019, at Memorial Hospital and Health Care Center in Jasper. She was born June 17, 1956, in Huntingburg, Indiana to Alfred “Jim” and Janice (Dearing) Oser. 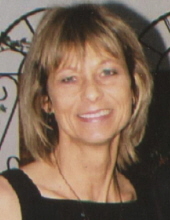 Darlinda was a member of Southridge High School’s Class of 1974; worked in the credit department as a credit analyst at MasterBrand Cabinets in Jasper for 13 years; and loved her cats, horticulture, and detailing her brother’s car. She was preceded in death by her parents, Alfred and Janice Oser; and one brother, Daryl Oser. She is survived by one brother, David Oser of Pensacola, Florida; one sister and brother-in-law, Debra (Greg) Lanman of Huntingburg, Ind. ; one niece, Mackenzie Bilinski; two nephews, Joshua Lanman and Seth Lanman; three great nieces and one great nephew. A Celebration of Life service for Darlinda Hurst will be held at 3:00 p.m., E.S.T., on Saturday, February 2, 2019, at the Nass & Son Funeral Home in Huntingburg with Deacon Tom Holsworth officiating. Interment will be held at a later date. "Email Address" would like to share the life celebration of Darlinda K. Hurst. Click on the "link" to go to share a favorite memory or leave a condolence message for the family.